Hi there! 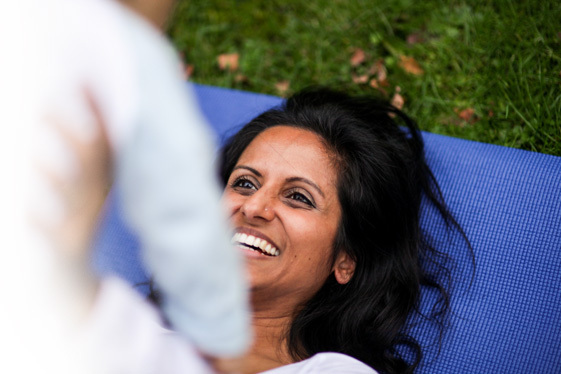 Welcome to Yoga Mums, a website all about mother and baby yoga. 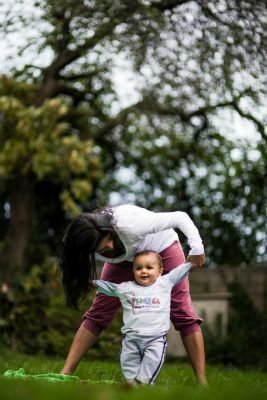 One of my biggest frustrations as a mum is being swamped with day to day chores and not having enough time for the fun stuff… you know, those precious little moments of play filled with gurgles, smiles and laughter. Well a Yoga Mums session does just that! It offers you precious time to have fun, to play, move and relax with your little one – an opportunity to truly appreciate each other during your otherwise busy schedule. 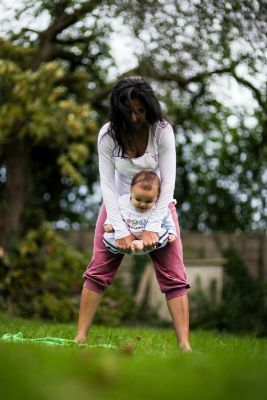 Yoga Mums is also great for developing routine and making life at home easier by helping little one to sleep and grow healthily, not to mention easing colic and aiding their digestion. If you want to start some gentle exercise, love feeling energised and enjoy like-minded company then please click here for more info on classes. 15th November 2013 – Just finished a wonderful morning running a class full of local Bromyard mothers and babies at the lovely Hope centre. Was lots of fun and am looking forward to starting a regular class there on 10th January 2014 click here for more info.